The power in Jessie Storey voice definitely shows that she was born to do some extraordinary things. With her songwriting skills, star quality videos, and amazing personality, she has the ability to go really far in the entertainment business. 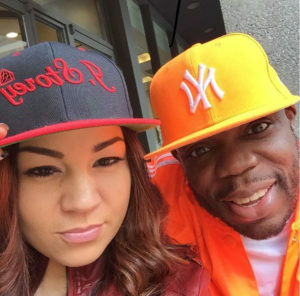 Industry veterans like Mr. Wood$, who is known for working closely with Keyshia and his hit single with Pigeons with Sporty Thieves, has been with Jessie Storey for years now. Her new single Press Rewind ft. Mr Wood$, was created and dedicated to a man she loved deeply, who passed away. In this song she speaks about making her dream come true. As she reminisces on all the good times she had with the love of her life, the one thing she wishes she say, is that she loves him and would do everything she promised if given another opportunity. Jessie Storey let’s her fans know she misses him daily and wishes she could have gotten more time with him. Mr. Wood$ backs her up with a little Hip Hop, by letting everyone know that real love is hard to find. He also reveals some of Jessie Storey regrets about not being fully committed to the man she loved at one point and the emotional damage she faced after losing him. I highly recommend you all go check out the video below and share it amongst your peers, because we all know someone who has been through this or similar.